Glattoboy is the new 2D Action-Adventure from Hellforge Entertainment. It plays in a far away Galaxy that mixes all the things you 80s and 90s kids loved! 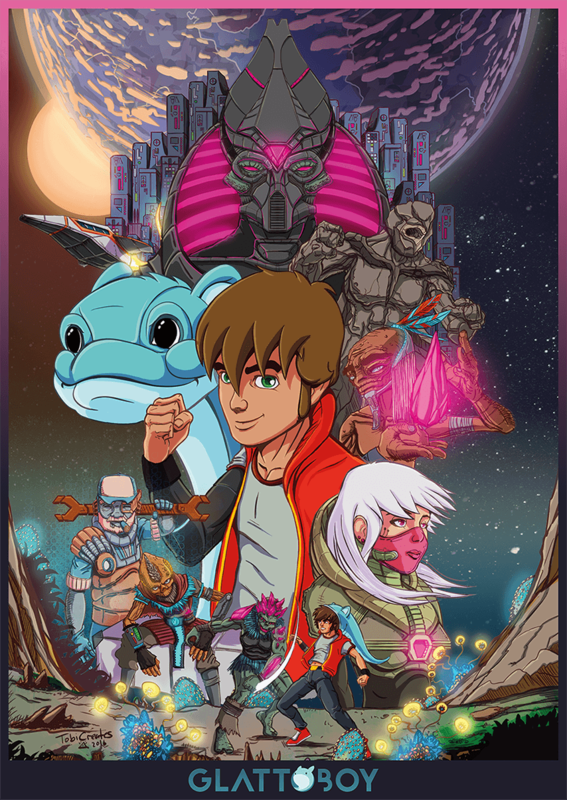 Cartoons, Movies, Music and Games mixed with alien ancient cultures.